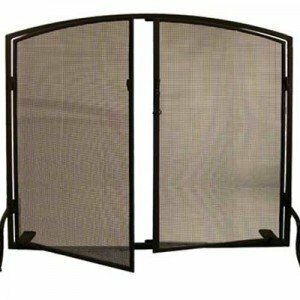 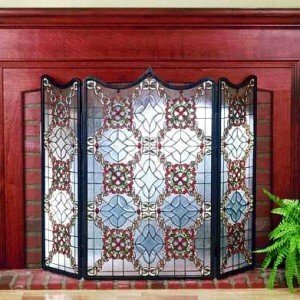 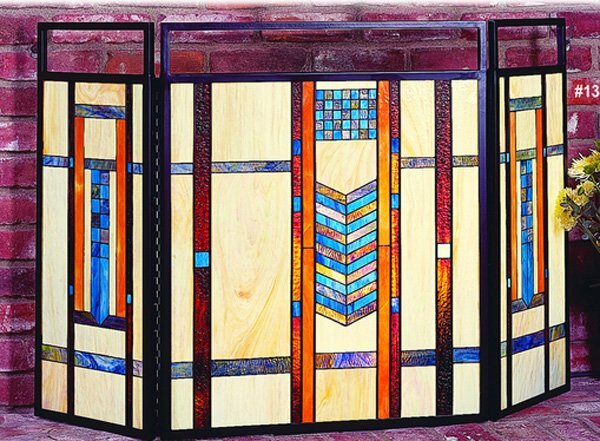 A fireplace screen like the Mission Stained Glass Screen is a gorgeous way to add a touch of color to your home while covering up a dirty fireplace when not in use. 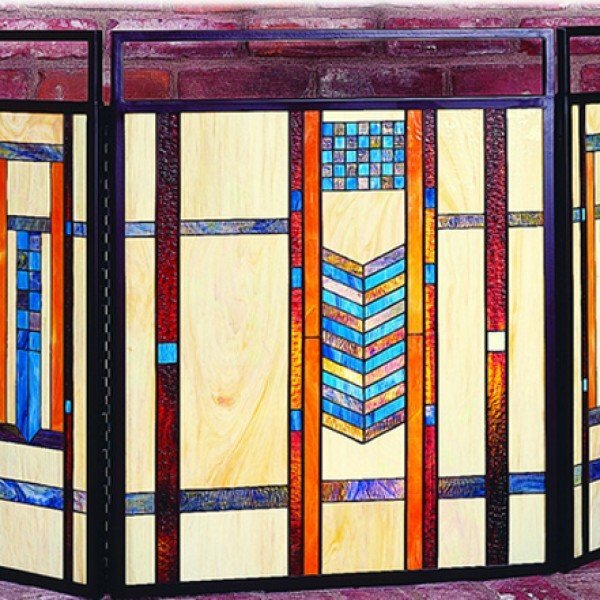 With its modern design and vivid stained glass the Mission is not only functional but artistic as well. 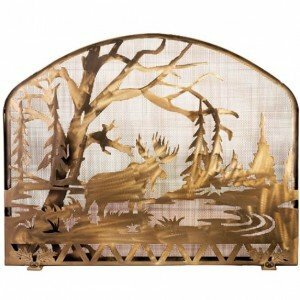 This Fireplace Screen is handcrafted using LC Tiffany’s time-honored copperfoil construction technique. 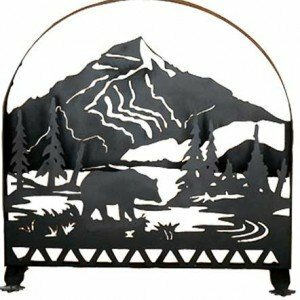 Please call our customer service number, , to determine availability before placing your order for this item.